My children are past the age of Easter egg hunts. They just somehow grew out of them, first slowly and then suddenly. We don’t do them anymore. But a long time ago, back when only my oldest could read, I started a tradition of making them hunt for their Easter baskets using a series of riddles I would hide around the house. The first clue was on the dining room table when they woke up; solving it led them to the next clue; eventually, instead of a “next clue,” they found their Easter basket. Both kids’ baskets are hidden in the same place; they work as a team to find them. Although my kids (now twelve and fifteen) are no longer interested in hunting for dyed eggs, they still expect the Easter basket hunt to occur each Easter morning. They think it’s fun, and so do I. 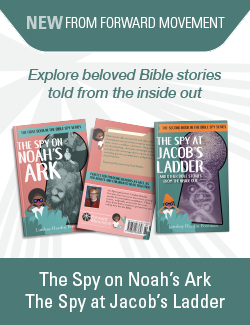 As they have grown older, devious mother that I am, I have mixed in clues based on the Bible along with others that don’t require research to answer. I can’t really consider it faith formation – looking up Psalm 51:7b (“Wash me and I will be whiter than snow”) to figure out the next clue is on top of the washing machine isn’t teaching them a lot, but I don’t think it causes harm either. And the idea of sending my children seeking something on Easter morning agrees with my liturgical sensibilities. After all, the very first Easter involved a search. Where is Jesus? Somewhere completely unexpected. Not dead, but raised! Not in the tomb, but alive! Fra Angelico (circa 1395–1455), public domain via Wikimedia Commons. 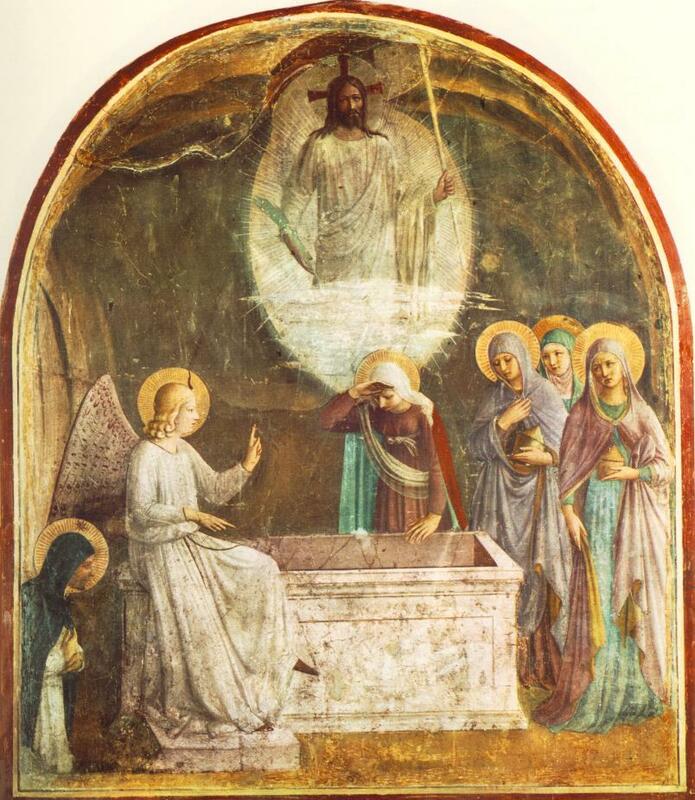 In this image, the risen Christ is clearly visible to us, but not to the women who seek him. They have not yet understood the message of the angel. They still expect Jesus to be where they saw him last. Thanks be to God, he is not. Christ is risen! And because of that, everything has changed, forever. But before they recognize that, even the first disciples have to truly look – first simply to find Jesus, then to examine him and seek understanding. They don’t “get” the resurrection right away. It takes some searching. When I started my children’s Easter basket hunt, I didn’t realize that I was sending them down a path that correlated with the first apostles’ journey. I just thought that on Easter, my little ones needed to look for something that, when found, would delight them. Only with a decade of hindsight do I see that this idea wasn’t mine at all; it was always already there, right in the Easter story. My children’s Easter joy is a pale imitation of the extraordinary relief and rejoicing that happened on the very first Easter. A basket is a pretty small thing compared to a Savior! As they have grown older and able to understand the deeper meaning of Easter, I hope our little family traditions have helped them find their place in the story. And I hope they will always have hearts that seek to honor the resurrection. Do you have a family tradition of hunting for anything on Easter?